Captain Brynner Parks is a true sportsman. Either putting you on the fish with your next Deep Sea Charter Fishing trip or for those of you looking for a Northeastern North Carolina Guided Black Bear Hunting Trip! Climb aboard Smoker Sportfishing Charters for the deep sea charter fishing trip of a lifetime! 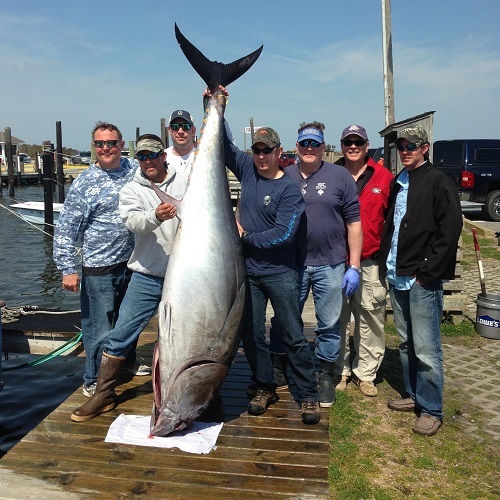 Captain Brynner Parks calls his home the Oregon Inlet Fishing Center, one of the hottest Sportfishing locales in the United States. Smoker, a 58-foot Custom Carolina charter boat with a 17.5 foot beam was constructed on the Outer Banks by Irvin Forbes in 1997. Over the past few years, Smoker has been undergoing oa makeover which includes being fitted with Twin Diesel C15 Caterpillars and rigged up with all of the latest in marine electronics. Cranking out 1600 Horsepower with a cruising speed of 29 Knots rest assured that you will have a smooth speedy trip to the most popular fishing grounds off of Oregon Inlet Fishing Center and the Outer Banks of North Carolina -- you and your group are sure to be on the fish all day! Book your trip or give Captain Brynner a call as his days do book up fast! When the fishing season slows down on the open seas, Captain Brynner can guide you on a unique Northeastern North Carolina Black Bear Hunting trip. Having access to a 2000+ acre farm that is prime hunting ground for the coveted black bears of Northeastern North Carolina. 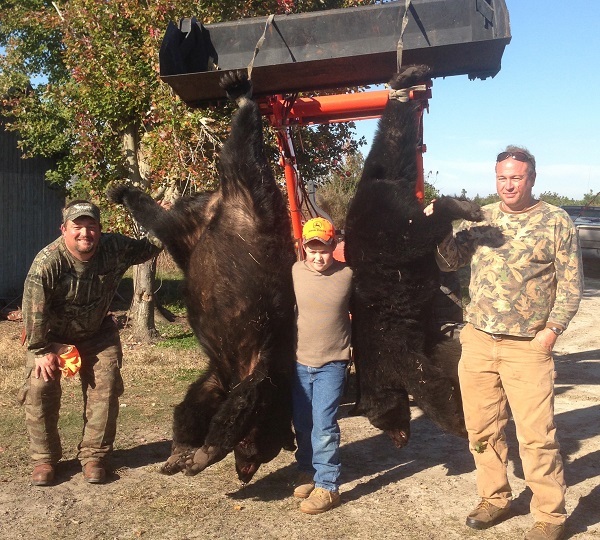 Black Bear hunting season in Northeastern North Carolina runs from November to December!